We call fruit symbols nostalgic when used for a classic video slot, but when used for a modern version we totally forget about the fact it’s probably one of the most used symbols for video slots ever. Classic slots or modern slots, fruit symbols are still very popular by both, players and designers. Jackpot 6000™ and Super Nudge 6000™ are just a few of the classic games the symbols can be found on the reels. Even though there are less modern slots involving fruit symbols, I did spot them in video slots like Reel Rush™ and Fruit Case™. 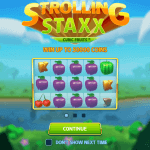 The most juicy video slot offering fruit symbols is of course Fruit Shop™, but if it wasn’t for the five reels and the Wild symbol playing a huge role in this NetEnt video slot, it could have been a classic slot as all classic fruit symbols are involved. The cherries, lemon, watermelon, orange and the plum, they are all there accompanied by a bunch of letter symbols. I have to admit this video slot isn’t exactly a premium video slot like Gonzo’s Quest™ and Aliens, but what I like so much about this video slot is the fresh look. Not one game designed by NetEnt looks so fresh and juicy as Fruit Shop™ does, and even though this video slot doesn’t provide you with the daily recommended amount of vitamins, it can definitely be refreshing. Especially for those who need a break from bonus games, jackpots, and other extra features some video slots are packed with. Besides that you finally get the chance to enjoy the old fashioned fruit symbols as Fruit Shop™ has integrated the classic feel and flow of the original fruit slots style into an upbeat, energetic and colourfully captivating new style so recognisable for video slots designed by NetEnt. If looking for an alternative to the fruit machine, while enjoying all the goodness of the NetEnt video slots, Fruit Shop™ is definitely the game you’re looking for. Although very modern, this game is based on the old-fashioned fruit machine, of which the origin can actually be found at the very first poker machine, designed by the New Yorkers Sitt and Pittman in 1891. However, you would not think the history of the slot machines goes back so far even though fruit symbols weren’t used for this first gambling machine, the Liberty Bell, as designed in 1895, did. Nobody would be interested in playing a video slot if only a few betting options where possible and just as all other NetEnt video slots are provided with different play levels and coin values, so is Fruit Shop™. You can choose from ten different levels to play with while seven coin values are available. You can combine these in all kind of ways together with the 15 bet lines, although I always recommend to activate all bet lines to increase your chances to win. If only playing with one bet line in combination with level one, your minimum bet will be 0.01. When all bet lines are activated and level ten is chosen, you’ll be playing with a maximum bet of 150.00. Whatever bet you choose to play with, make sure it fits your budget. As told you before, I advise you not to expect too many extra features in Fruit Shop™, but just as many video slots, less can be more. 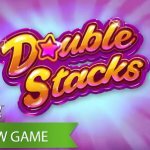 Video slots like Starburst™ and Twin Spin™ proved it already while Fruit Shop™ is about simplicity too offering Wild substitutions with an x2 multiplier and a Free Spins multiplier of x2. 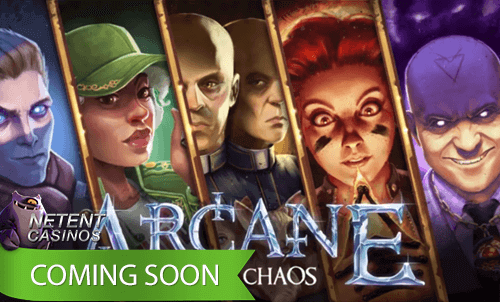 Wild symbols substitute for all symbols and appear in both the main game and during the Free Spins on reels 2, 3 and 4. Once a winning combination has been made and a Wild is involved, winnings will be doubled. 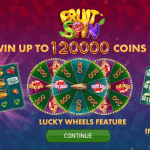 If this same winning combination involves fruit symbols, Free Spins will be awarded too. 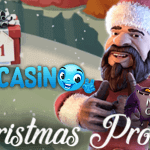 Every win can award up to five Free Spins which can result in a lot of Free Spins in which wins will be doubled too. All NetEnt games have been developed using the latest technology, with the intention to deliver new and unique games and not just a copy or clone of an already existing game. Looking at Fruit Shop™ you know what I mean, even though it is based on an old-fashioned fruit machine, the game is modernly designed, refreshing and original even if not packed with extra features, bonus games or a progressive jackpot. That’s probably also the reason why it was one of the first video slots converted into a mobile touch game, not long after Fruit Shop Touch® was launched. 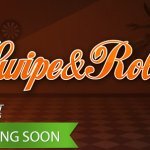 Like with all other Touch® games, NetEnt again managed to keep the originality of the Fruit Shop™ video slot resulting in another fantastic Touch® game. This way, you never have to miss Fruit Shop™, you’ll always have a portion of fruit at hand. Perfect for those moments you’re not interested in complicated slots such as Elements™ or South Park™, although very funny, but you’re just looking for an easy paced game to cheer you up.